KAMPALA – How powerful was Ms Bagyenda? An MP asked on Monday, wondering how the former Bank of Uganda executive director for Supervision Justine Bagyenda could “arbitrally” close down a bank in which the sitting Prime Minister Amama Mbabazi owned shares. As Mr Mbabazi, in good company of his colleagues Mathew Rukikaire, a former privatisation minister and businessman Amos Nzeyi appeared before the MPs investigating the conduct of BoU officials in the closure of seven banks, Iganga Municipality MP, Peter Mugema Panadol sought to understand where Ms Bagyenda drew powers beyond those of Mr Mbabazi the then powerful Prime Minister. 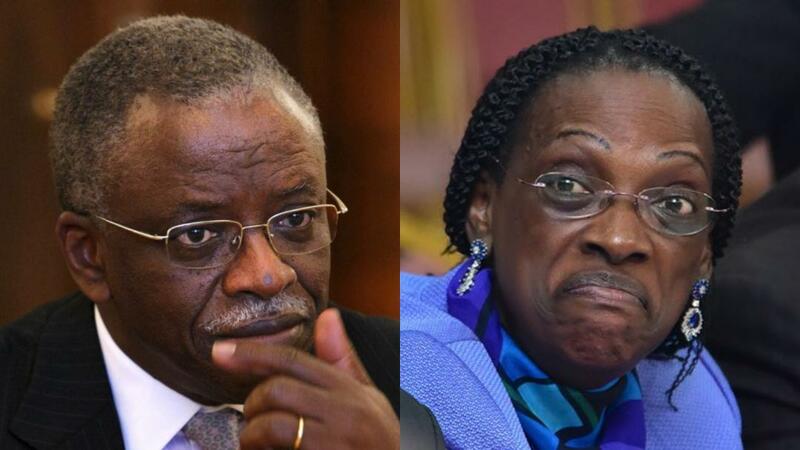 In his swaggerific style, Mr Mbabazi, who has since the 2016 presidential elections taken a private profile, rarely appearing in public, sought to put the underfire Bagyenda in her place. “On how Bagyenda was stronger than Amama Mbabazi, I think the difference was that I act in accordance with the law and she was acting outside the law and therefore we are not comparable,” the former Prime Minister told the committee. “She was in her eld and I was in my eld, you can’t compare unlike things,” Mr Mbabazi responded. The National Bank of Commerce was closed on September 27, 2012, by the Central Bank on allegations that it lacked the minimum capital requirement of Shs 10bn. Appearing before the committee the shareholders of the NBC led by the Chairman Board of Directors, Matthew Rukikaire noted that their bank was summarily, arbitrary and illegally closed on orders of Justine Bagyenda who was the Executive Director, Bank Supervision. They noted that despite efforts to comply with the bank requirements, Ms Bagyenda made it hard for the bank to operate. “It was made once when NBC was unfairly slapped with illegal civil penalties of Shs 2m per day by Mrs Justine Bagyenda for purported non-compliance with BOU directive,” said Mr Rukikaire, a former Minister for Privatization. He accused Bagyenda of acting against the several Court orders that were issued.